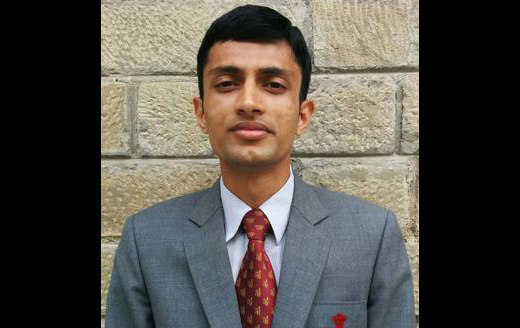 Udupi: July 5, 2015: Hard work and dedication enabled Nitish K secure the eighth rank in the UPSC exam whose results were announced on Saturday. Nitish who was unsuccessful in his first attempt in 2012, had bagged 547th rank on his second attempt in 2014. He, however, wanted to write the examination again to better his ranking and this time he got the 8th rank. Nitish, who hails from Ambagilu, is the son of K Ramakrishna Hebbar, manager at Kota branch of Karnataka Bank, and Bharathi G, a home-maker. Nitish pursued his education from various institutions as his father is a bank employee where transfers are common. He did his BE from P E S Institute of Technology, Bengaluru. Speaking to Indian Express, Nitish said that he will undergo IAS training from September and it would be for one-and-half years. Nitish said that this year he concentrated on general studies. He said that many young students go for only engineering and software-related jobs in coastal Karnataka. “What is required is consistency and discipline. One should not get disappointed by initial failures,” he said and added that parents play an important role in helping their children crack the exam. Nitish said that he had cultivated the habit of reading at least two newspapers every day and magazines during his school days. His father told Express that he could not express his happiness in words. He said Nitish was confident of scoring among the top 100 ranks.